Disaronno became aware that today’s cutting-edge trends in global mixology are shared on channels that are different from the traditional cocktail competition stage performances in front of panels of judges. Hence, Disaronno launched Mixing Star as an Innovation Hunter program in pursuit of the edgiest trends in the realm of mixology around the world, and then to share these trends with the world’s enthusiastic bartending communities – one of those being Difford’s Guide. Developments in mixology tend to start in the world’s major cities, consequently Disaronno are visiting bartending capitals to create informative and entertaining videos featuring ideas from leading innovators. watch Innovation Hunter film here or view on Facebook. What’s your involvement with the Innovation Hunter? "The Mixing Star has always been a project dedicated to Bartenders. 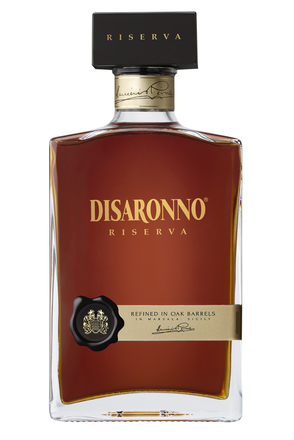 It was born as a competition to show how versatile Disaronno is and worldwide recognized as the Originale amaretto. After 6 years, I wanted to move this project from a “red ocean” crowded with competitions to a “blue ocean” of uncontested space, truly dedicated to inspire bartenders." The Mixing Star has evolved to focus on world wide mixology trends - what was the thinking behind this? "The intent of the new project was to start looking at the bartenders as a strategic target, with a more focused approach as their role has changed a lot within the last years. They are now storytellers. And this is reflected in the way they work and in their drinks which are now well researched and often new and unexpected. I could not ignore this evolution." What is the Innovation Hunter? "The Innovation Hunter is a “journey” around the world of mixology. We look for innovative styles of mixing, unique bar concepts and engaging personalities that can inspire some other bartenders, we literally travel to their venues and create videos that we then share on our or Facebook page . Thanks to the digital diffusion, knowledge and inspiration have no boundaries." What has been the most exciting trend you’ve seen so far? "It’s really hard to pick only one. All the bartenders we have met during these last months are so unique and talented that can really inspire the new generation of mixologists. Also, each market has its own characteristics depending on so many cultural factors…. Italy have shown more creativity, Holland more pragmatism, Britain more technique… and who knows what's yet to come!" And what is the trend you think will have the most appeal to consumers? "Even if consumers are not the primary target of this project, I have noticed a lot of positive comments on the tailor made cocktails, the liquid kitchen and the sustainability applied to mixology. Nowadays, consumers are very educated on fine drinking and their sense of discerning good bartenders and good products is rapidly increasing. This is why it is inevitable that Disaronno – and more generally cocktail – lovers start following our journey and watch more than one video: they are curious to know what it usually hidden to their eyes." 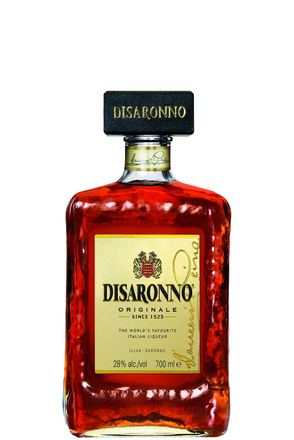 Why is it important for Disaronno to be aligned to innovation? "We are proud to claim that we are the “World’s favorite Italian liqueur” and we have got such a huge crowd of bartenders who choose us on a daily basis. We, as a Brand, owe so much to those bartenders who invest in their job, who work with passion respecting the Industry and research for the best experience to deliver to their customers. Those people are the ones who foster innovation and Disaronno want to be where all this happens." What is the plan for the Innovation Hunter in 2018? "For sure we will go on traveling the world to discover some new trends. Furthermore, many of the talents and endorsers we have involved this year are the ones who inspire and influence the new generation of bartenders, so they will still continue to work with Disaronno for the bartender community. Our international Brand Ambassadors will also have a more active role so that the local community can have a point of touch and be directly involved into the innovation journey." How will you know it’s been a success? "Gaining the trust of the Bartenders is not an easy task in a world where everything has a price. So, let me quote Henry Ford: 'Coming together is a beginning; keeping together is progress; working together is success.'"